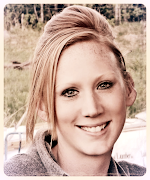 Erin Blegen: My Scrap Cabin: Manor House Creations Design Team!! 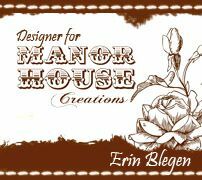 I'm SO EXCITED to FINALLY (seriously, lol) be able to share with you that I was accepted to join the Manor House Creations 2012-2013 Design Team!!!!!! I cannot tell you JUST how honored I am to be chosen to be a part of this team :) :) :)- and how NOT easy it's been to keep this secret under wraps!- And to think, I found the acceptance letter in the SPAM box in my email! Yikes! For those of you who don't know about Manor House Creations, they are an Australian flower manufacturer and have been around for a couple of years now, and in that time they have grown to be a huge player in the flower industry! I first discovered their flowers about 9 months ago when I won some through a challenge. I've been in love ever since! Additionally, they are the Australian Distributor for The Scrap Cake- another company I adore! I'm actually in the process of creating my final layout for next month and I just cannot wait to be able to share them with you! But thanks at least for allowing me to share this bit of news. I apologize for not being around much this month- now you know what I've been busy with behind the scenes :). Congrats again! You always do deserve to be on DT. You are very talented. Congratulations to you but I really feel more like congratulating Manor House on getting someone of your talent on their team. You're a perfect fit for a place that does flowers. Congratulations, Erin! Love Manor House flowers. Can't wait to see your creations. Congrats Erin!!! I was so excited for you when I read your post!!! Even more inspiration to look forward to!! Well done and how exciting. I love these flowers, so enjoy it will be fun. That's awesome news Erin! It's always more fun to create, when you get free goodies to do it with!! :) Congrats! Big congrats, Erin! I love MH blooms and cannot wait to see you designing for them! Wow, that is amazing news! Huge congrats! 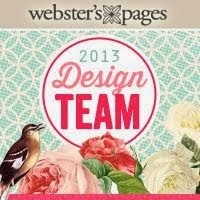 Your work is soo gorgeous and I can hardly wait to see how you will use their fab flowers. Congrats Erin, for making the Manor House Creations DT Team, I'm very happy for you yehhhhhh! Did you have a nice time with your hubby while Kelly was babysitting your kids? I bet you did I always love the alone time with my hubby! con-grat-u-la-tions ... awesome news and so totally deserved. HUGE congrats to you Erin, I was so super excited when I saw you on the list - love your work and super excited about being able to work together! Well done you will create wonderfully with these gorgeous flowers.. look forward to seeing what you create!! Erin - I am really looking forward to working with you. Your work is amazing! congrats, Erin! you will rock this team! have fun! Congratulations Erin! The are SO fortunate to have you on their team! Erin I have been a follower of yours for a very short time and am very happy for you! Congrats, you deserve it so much!!! Congrats you clever girl. So excited to see your name on the list. You will work magic with the flowers. Well done. Erin, I am so happy for you! You are on a roll girl!! Woohoo!!! Huge Congrats!!! !